Sebastian Vettel says he has "enormous respect" for Mark Webber even though they don't enjoy a good personal relationship. 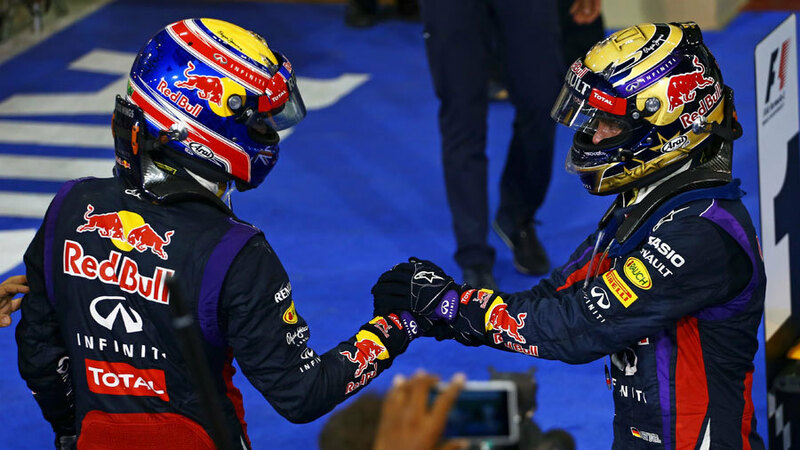 Webber will retire from Formula One at the end of the season having been Vettel's team-mate for all four of his drivers' championships, but that time has been punctuated by numerous on-track incidents between the pair. However, Vettel said Webber will leave the sport with his respect having worked so closely for the past five seasons. "To be honest with you I think we always shared respect, especially on the track," Vettel said. "When we've been fighting each other etc. I don't think it was lacking respect. I think each one of us respected the other guy inside the car and his ability. As team-mates for the last five years we've got to know each other very well, meaning that I know his strengths and - not his weaknesses - but maybe the corners where I have a little bit of an advantage and vice-versa." Vettel also said the battle on track had been closer than it may appear due to his run of success. "It has always been very close, maybe closer than what people remember, so I've appreciated that and therefore I have enormous respect. Surely you have to be honest as well; we didn't have the best relationship on a personal level if you look back. But at the end of the day we were very successful for the team as well, winning four constructors' in a row, so we made sure that together we scored enough points for the team."